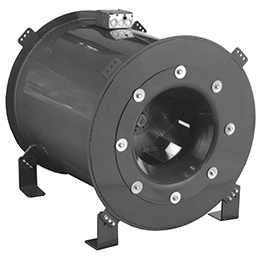 The QMX and QMXHP are designed for supply, exhaust, or return air applications. 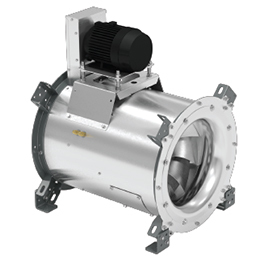 Performance ranges from 500 to 119,500 CFM with static pressures to 9” w.g. The QMX is offered in 18 sizes from 90 to 600. 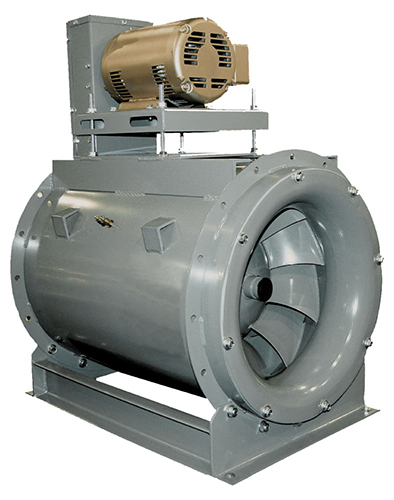 With the Cook Contour® axial-centrifugal hybrid impeller, these mixed-flow fans are more efficient than traditional centrifugal units. 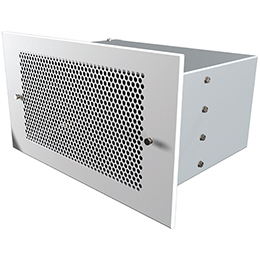 This provides you the opportunity to reduce motor horsepower and fan sound levels while using a smaller unit. 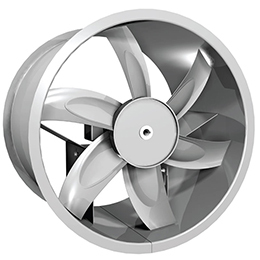 The QMX will replace traditional tubular centrifugal and vane axial fans in most applications. The QMX is an ideal solution for critical applications where low sound, high efficiency, or compact size are requirements. The QMX utilizes a relatively large diameter wheel in a small housing which results in slower wheel speeds and quieter operation. 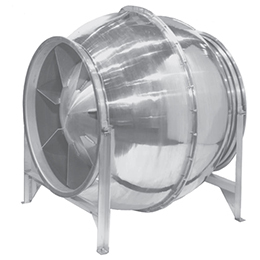 The QMX can be as many as two to three fan sizes smaller than an equivalent performing tubular inline blower resulting in significant space and cost savings. The QMX was designed using the latest Computational Fluid Dynamics (CFD) software. This allowed our engineers to fully optimize the inlet, wheel and straightening vanes through over 200 design iterations. Once the design was optimized, physical prototypes verified the performance and durability of the design. 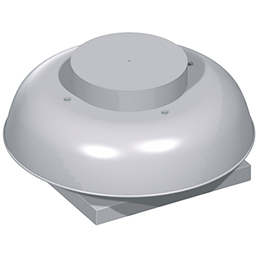 The result is one of the quietest and most efficient fans in the industry.